I love cooking rice in my electric pressure cooker. It’s set it and forget it easy. It cooks in half the time and you just throw the rice, water and a little salt in the pot, lock the lid in place, set the cook time and press start. When the timer beeps, you turn off the pressure cooker and wait for the pressure to naturally release. When you open the lid all the water will be absorbed and you’ll have perfectly cooked, slightly sticky rice. 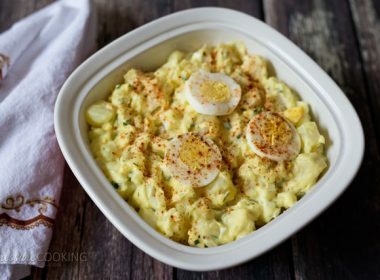 Similar to rice cooked in a rice cooker or from an Asian restaurant. The Cuisinart recipe booklet recommends cooking brown rice in a large amount of water. But the Veggie Queen in her new ebook The New Fast Food™: The Veggie Queen™ Pressure Cooks Whole Food Meals in Less than 30 Minutes recommends using only 1 1/2 cups of water for a cup of brown rice. I followed Jill’s guidelines with great results. Jill sent me a copy of her ebook when she was guest posting about How to Cook Beans. 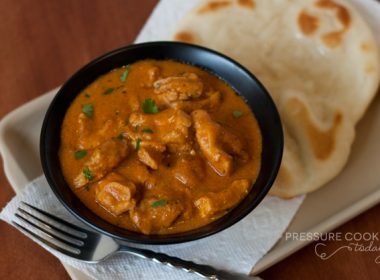 I refer to it often when developing recipes for the electric pressure cooker. It’s a great resource and you can download it for only $12.95. 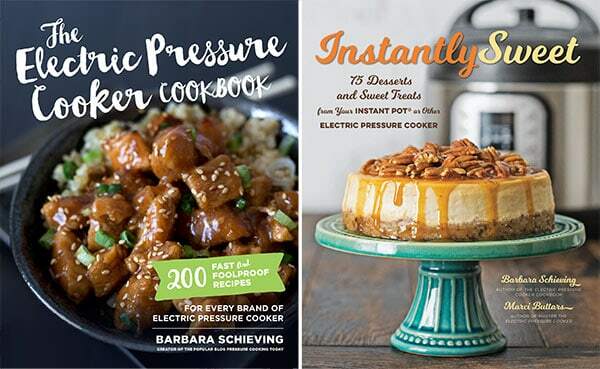 She’s also generously offered to giveaway one copy to one lucky Pressure Cooker Today reader. Details on how to enter are at the bottom of this post. If you’re not cooking rice in a pressure cooker, you need to give it a try. I intend to cook it that way from now on. An Instant Pot is one of the most popular brands of electric pressure cookers. 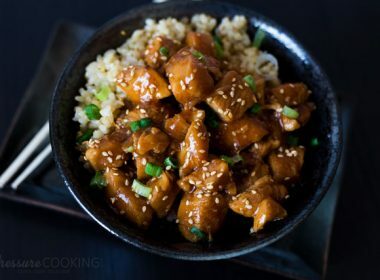 They are easy to use and your Instant Pot can help you create this delicious Rice! Combine the rice, water and salt in the pressure cooker pot. Lock the lid in place and select High Pressure and 22 minutes cook time. When beep sounds turn off pressure cooker and use a natural pressure release to release pressure (approximately 20 minutes). If you're in a hurry you can use a Natural Pressure for 10 minutes, followed by Quick Pressure Release. Update: The giveaway is now closed. Congratulations Tara! 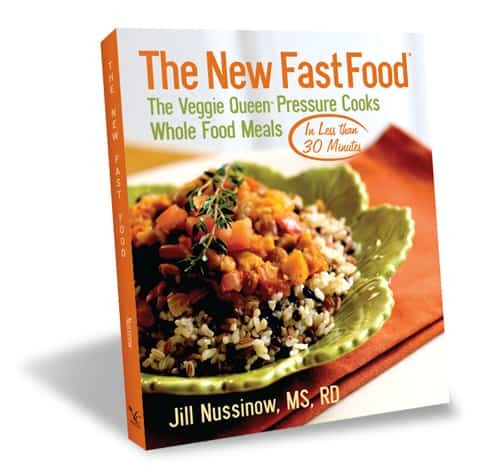 If you would like to win a copy of the Veggie Queen’s new ebook, The New Fast Food™: The Veggie Queen™ Pressure Cooks Whole Food Meals in Less than 30 Minutes, leave a comment on this post before Wednesday, December 5th at noon, MST. Leave a separate comment for each entry. Be sure your email address is included with your comment(s). Winner will be chosen randomly, notified by email and will have 48 hours to respond. 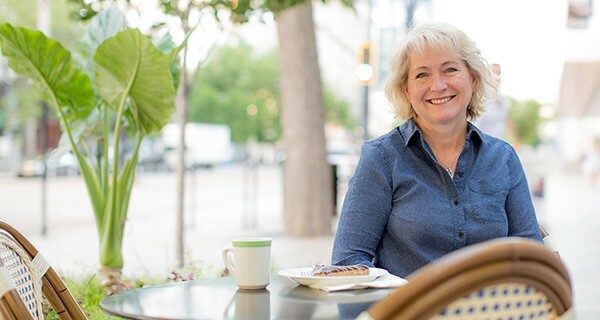 Hi Heather – you don’t need to increase the cook time when you increase the volume in the pressure cooker. 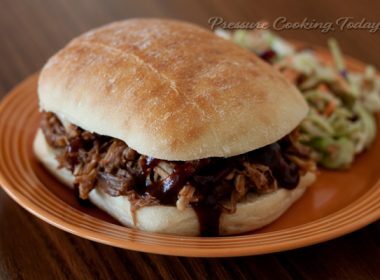 Generally, you’ll only increase the cook time if the thickness of the meat increases. 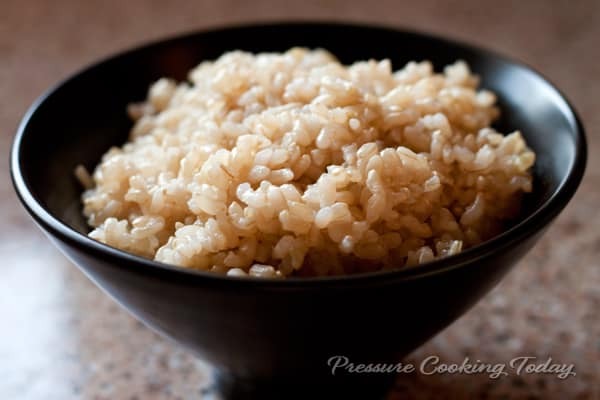 Hi Guys. . New to IP & thought I’d share my 2 day whole long-grain parboiled brown rice experiment as, thx to Barbara, I’ve found “my perfect” brown rice. Her comment re converting pressure time for pink rice gave me hope & confidence for try2 as worked from the same stovetop 20 min. So much better . . just couldn’t stop! 🙂 So glad I didn’t give up on IP for rice! Add 8 oz rice evenly around pan. Pour 8 oz water slowly submerging all rice. Add slivers cold butter & salt. Add 1 cup water to IP liner. Cook. H 1 NPR 10. Let stand outside pot 5 min before fluffing. Serve or freeze. 1 cup liner water – perfect! Cooked PIP 7”x3” round pan, no lid, on rack inside Instant Pot. This was the best brown rice I’ve ever cooked! Fluffy, with a little stickiness, a little chewy! It was great! You said to use a fork to fluff the rice but that may not be the best as it may scratch the non stick coating. All manuals warn against anything but plastic or wood. Hi Jenny – if you have a non-stick pot you may want to use a rice paddle instead. Enjoy! What would the ratio be when cooking brown (or white) rice in the new 3 quart mini. Hi Billie – no need to worry, the IP 3 quart Mini will automatically switch to warm as well. You don’t need to make any changes when you make this recipe in the Mini. In fact as long as you don’t fill the pot more than 2/3’s full (1/2 full with things that foam such as oats), you don’t need to make any changes to any of my recipes when using the 3 quart. Have fun! 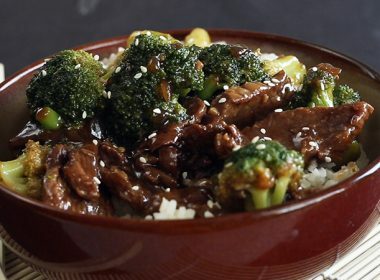 brown rice is the only kind we make. I’m hoping that it comes out better in the pressure cooker than it does using the conventional stovetop method. Have the pot on right now! 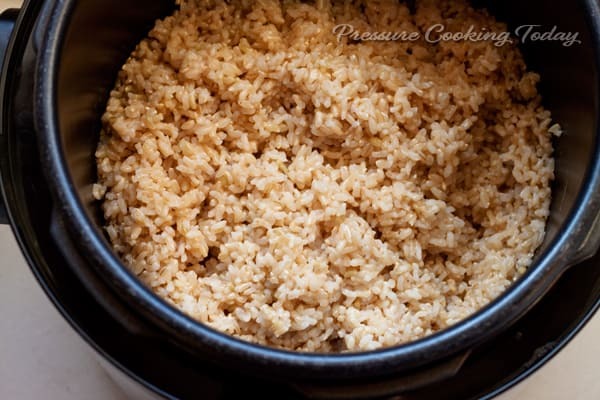 We love brown rice in the pressure cooker! It’s so much tastier that way!